Exotic fish dish of different flavour and taste. Mix onion paste to kheer. Add shah cumin powder, nutmeg and cardamom powder with fish, kheer gravy. Cut banana leaf in two pieces. 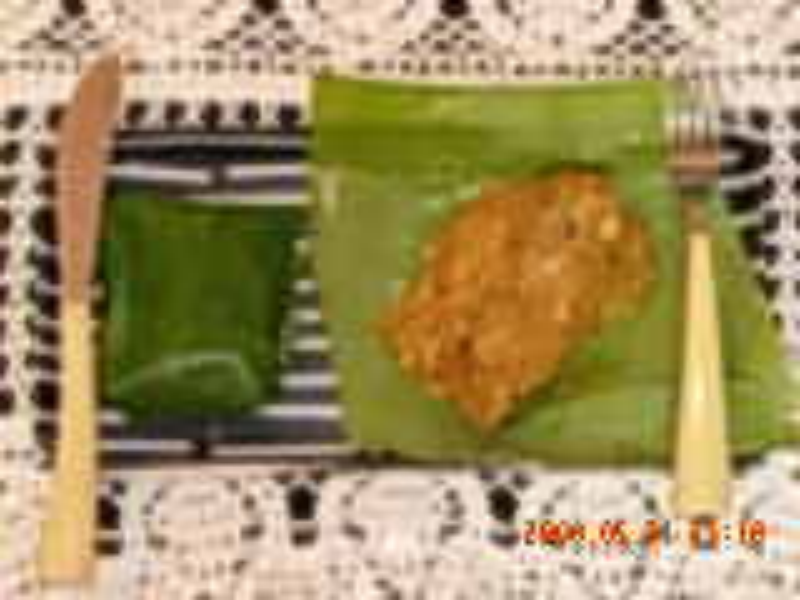 Place each fish with gravy in each banana leaf and wrap properly. Place two packets of banana leaf in oven and cook for 2-5 mints or else can be cooked in a pan for about 2 mts in slow fire. Cottage paneer cubes can also be used in stead of fish.